April | 2018 | Darth Frank, "The Tank"
As usual, we’re a bit behind. Dysfunction in Washington and abroad continues. Mark Zuckerberg‘s downfall: part 3! On the eve of his Senate testimony on tracking, profiling and possibly influencing unsuspecting minds post-Cambridge Analytica revelations, Facebook’s founder and CEO admitted the European Union‘s new “General Data Protection Regulation” requirements of the social behemoth to protect user privacy would not be extended to Western hemisphere social media slaves. Specifically, COO Sheryl Sandberg grudgingly kowtowed to Europe’s modern socialism by “[arranging] the core privacy settings for Facebook in one place and make it much easier for [European] people to manage their data” earlier this year. 46 of the 55 House members on the Energy and Commerce Committee (which apparently regulates the internet), who grilled Zucks on April 11, banked donations from Facebook. Perhaps appropriately, the outfit is Facebook’s biggest campaign cash recipient. On the House [Energy and Commerce] committee, Republicans got roughly twice as much as Democrats, counter to the broader trend in Facebook campaign gifts. Of the $7 million in contributions to all federal candidates tied to the Menlo Park, Calif.-based social network, Democrats got 65% to Republicans’ 33%. Zucks empathized with the average site user by removing his own sent messages (and those from a few privileged executives) from recipient inboxes. Once he got caught, Facebook tried to salvage public support, announcing an “unsend” feature will launch for the commoners later this year. Their oily boss will reportedly be restrained from manipulating others’ inboxes until then. None of Facebook’s terms of service appear to give it the right to remove content from users’ accounts unless it violates the company’s community standards. In 2010, Silicon Alley Insider aka Business Insider published now-infamous instant messages from a 19-year-old Zuckerberg to a friend shortly after starting The Facebook in 2004. “yea so if you ever need info about anyone at harvard . . . just ask . . . i have over 4000 emails, pictures, addresses, sns” Zuckerberg wrote to a friend. “what!? how’d you manage that one?” they asked. “people just submitted it . . i don’t know why . . . they ‘trust me’ . . . dumb fucks” Zuckerberg explained. Once they got caught (this is becoming a pattern), Facebook reassured the internet their sordid stealth operation was still in the “planning phase,” and anyhow paused as the company focused on “doing a better job of protecting people’s data and being clearer with them about how that data is used in our products and services.” This was a terse referral to the Cambridge catastrophe that siphoned 87,000,000 users’ data to help political ads better target voters. The IRS gifted the little people an additional 24 hours to submit tax returns after their computers malfunctioned as the country closed in on the April 17 deadline for filing. “Taxpayers do not need to do anything to receive this extra time,” the magnanimous agency soothed. Trump reportedly asked for a six-month extension on his return; according to Reuters this option is also open to Washington’s disenchanted subjects. When the hundreds of billions of dollars confiscated for income tax annually covers only the interest on your existing national debt, and not any of the trillions of dollars spent by the government, time is not particularly of the essence. Puerto Rico took another machete to its morale with an island-wide blackout last week, brought to you by a bulldozer from D. Grimm, a subcontractor of Mammoth‘s Cobra Acquisitions. Perplexed Governor Richard Rossello sternly “suggested” that the island’s energy monopoly, PREPA, cut ties with D. Grimm. 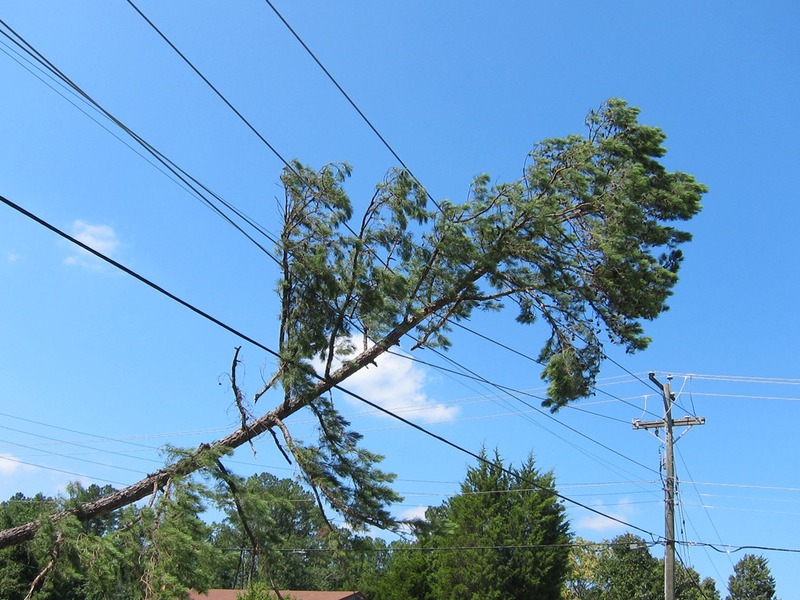 Apparently, two weeks before this Grimm vehicle tagged a live wire and cut the power of basically all 3.4 million Puerto Ricans, the subcontractor was also blamed for a tree [falling] on a major electric transmission line and shorting out 870,000 citizens’ power, according to ThinkProgress. The culprit, completely preventable by D. Grimm. The timing was inopportune for PREPA’s move toward [trigger warning] privatization, which the Institute for Energy Economics and Financial Analysis maintains would exacerbate award of cushy contracts to government insiders, such as (to all appearances) the island’s first foray into unproven contractors with the Whitefish fiasco. The pension reform is apparently fallout from 2016’s increased Federal oversight of Puerto Rico by a Financial Oversight Management Board as stipulated in the PROMESA bailout. The new management of $120 billion in debt was recently slammed by Rossello as “truly disturbing“, “anti-democratic” and showing “reckless disregard“. The FOMB reportedly voted last week for a five-year freeze on public sector wages and deep cuts to the University of Puerto Rico to help stop the financial bleeding. ICE continues to terrorize undocumented citizens. Their new focus appears to be those who have served time for wrongful conviction. Ricardo Rodriguez, a lawful permanent resident with two marijuana possession convictions, spent 20 years in prison for murdering Rodney Kemppainen. That conviction was overturned in March, the tenth such mistake linked to disgraced former Detective Reynaldo Guevara (below), formerly of Chicago police, who allegedly beat confessions out of suspects and created eyewitnesses. Upon his March release, Rodriguez was picked up by ICE. Apparently, he lost permanent resident status with his erroneous arrest in 1995. It is unclear where they stuck him. Cook County is a favorite haunt for ICE. Last December, Mexican nationals Gabriel Solache and Arturo Reyes (below, left and right) were cleared of a double murder (including confessions orchestrated by Guevara via brass knuckles) that had kept them jailed since 1998. Both were collared by ICE before they even left prison. Solache spent another 41 days incarcerated before he came up with bond money in February. Tellingly, both men expressed a desire to return to Mexico voluntarily. For Reyes, ICE has appealed this “request,” favoring a forced removal that will make a future return to America more difficult. Reyes filed a civil suit against Guevara and the Chicago police. Solache is also suing, alleging Guevara beat him to the point of hearing loss. 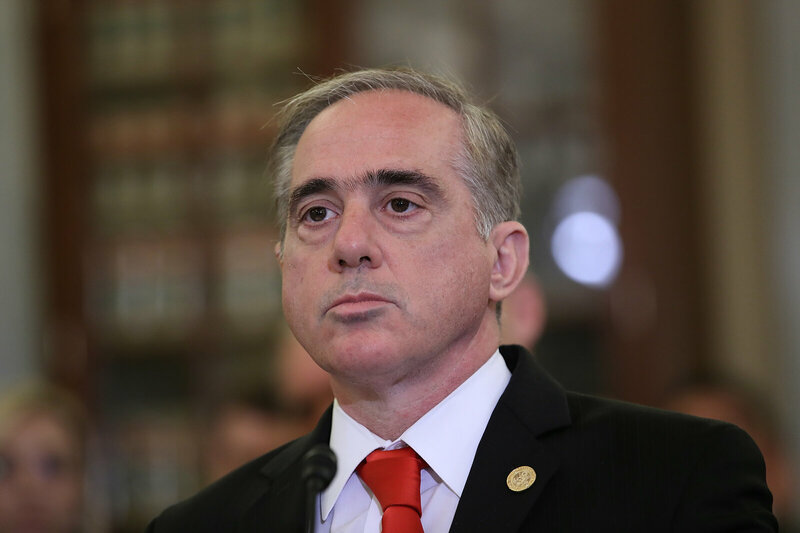 As we have extensively reported, Trump’s unapologetic VA secretary, David Shulkin (below), set a new precedent for personal perks while disregarding ailing veterans. Shulkin was fired at the end of March (the White House maintains he resigned). Trump nominated his personal physician, Rear Admiral Ronny L. Jackson (below) (his actual, adult name is “Ronny”) to fill the vacancy. The solution was short-lived. According to The Hill, the Navy doctor, 50, didn’t even get a vote. Senate Veterans’ Affairs Committee ranking member Jon Tester (D-MT) yesterday dropped damning allegations including Jackson’s passing out Percocet, prescribing opioids to himself, showing up to work drunk and crashing a government vehicle while leaving a Secret Service retirement party. Also drunk. Several Republican senators were previously concerned Jackson was unqualified for the position. Jackson, denying the car incident, withdrew from consideration April 26. Trump did get his way with new Secretary of State Mike Pompeo (above). Despite the porky Kansan’s probable complicity in torture cover-up as Trump’s CIA director, Pompeo cleared the Senate Foreign Relations Committee vote (which is just a recommendation to the full Senate, but would have been a historic humiliation for the oval office) after committee member Senator Rand Paul caved and accepted Pompeo’s admission that America’s 17-year nation building exercise in Afghanistan should end. 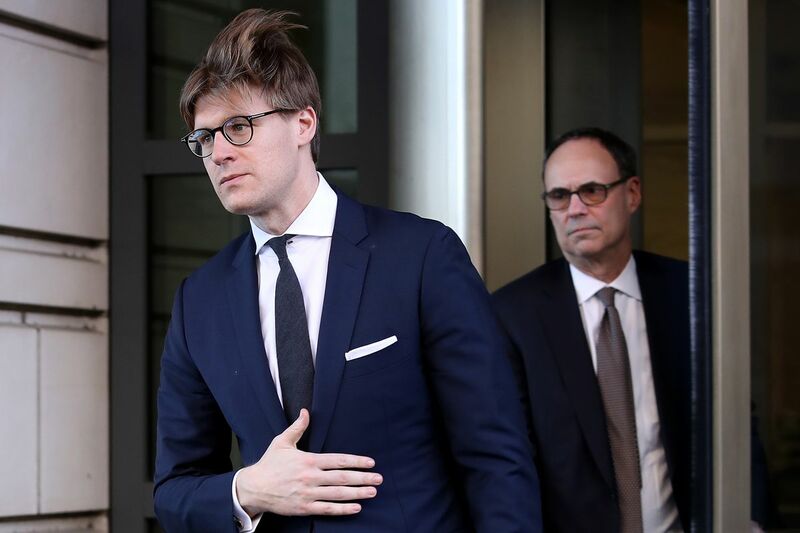 Alex van der Zwaan (below, hair) became the next casualty of the Mueller probe, receiving 30 days of hard time and $20,000 in fines after pleading guilty to making false statements. The dashing Dutchman reportedly worked with Paul Manafort and Rick Gates to put out positive propaganda for Viktor Yanukovych’s Ukrainian government in 2012. This is apparently so innocuous that the spokesperson, Tyler Q. Houlton, took out an op-ed in USA Today the following week defending the Maoist move. And Noor Salman was found not guilty of assisting her late husband Omar Mateen‘s ISIS-inspired assault on Pulse nightclub in 2016. She had served 14 months in prison after signing a confession handwritten by FBI agents after a marathon interrogation that was not recorded. Another problem with the Feds’ case: the Orlando-based jury was presumably more sympathetic to the deaths of 49 predominantly gay and lesbian clubbers–just as the government intended. They presented Mateen as targeting the LGBT community and “casing” locations for his massacre with Salman. Data from security cameras and phone records show Mateen googled “downtown orlando nightclubs,” not “gay nightclubs” as the public was led to believe. Salman’s signed confession that she had driven by Pulse with Mateen was proven false. It didn’t help that the prosecution purposefully concealed the fact that Mateen’s father, Seddique Mateen, is a longtime FBI informant.